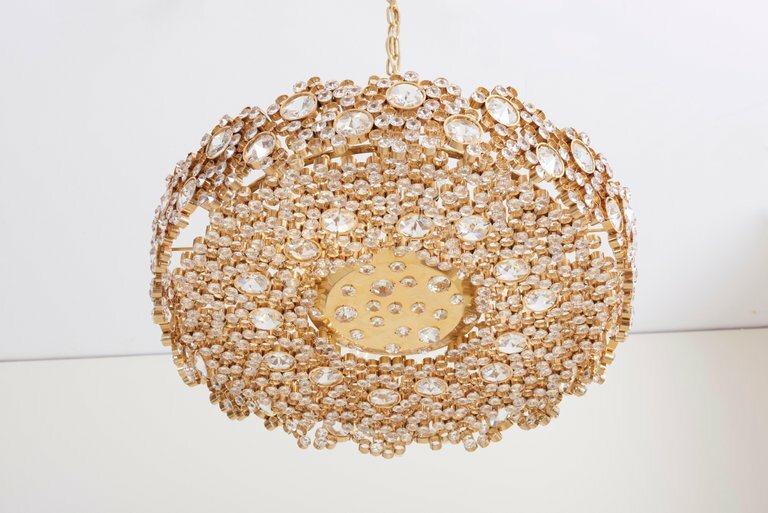 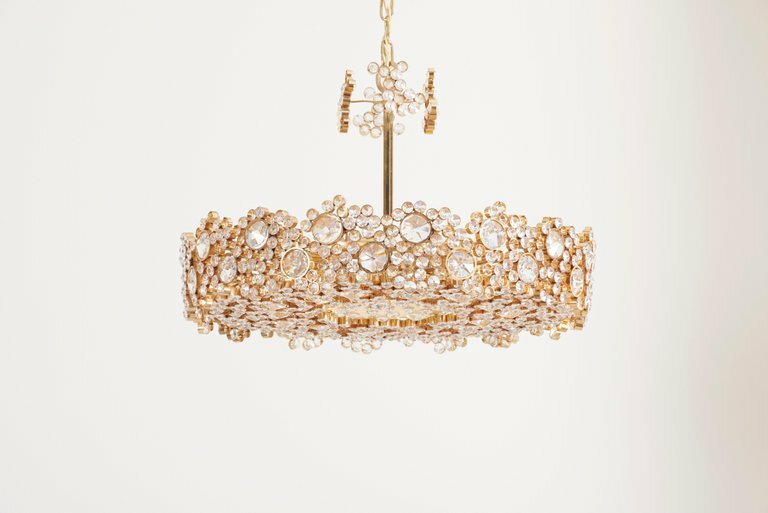 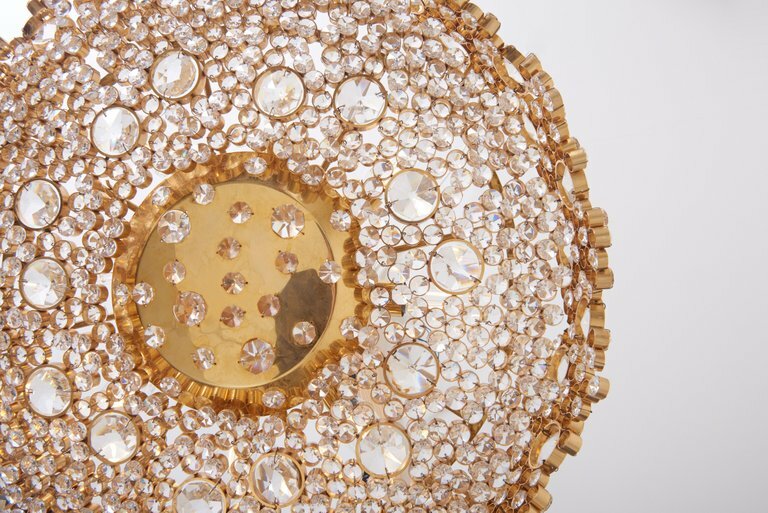 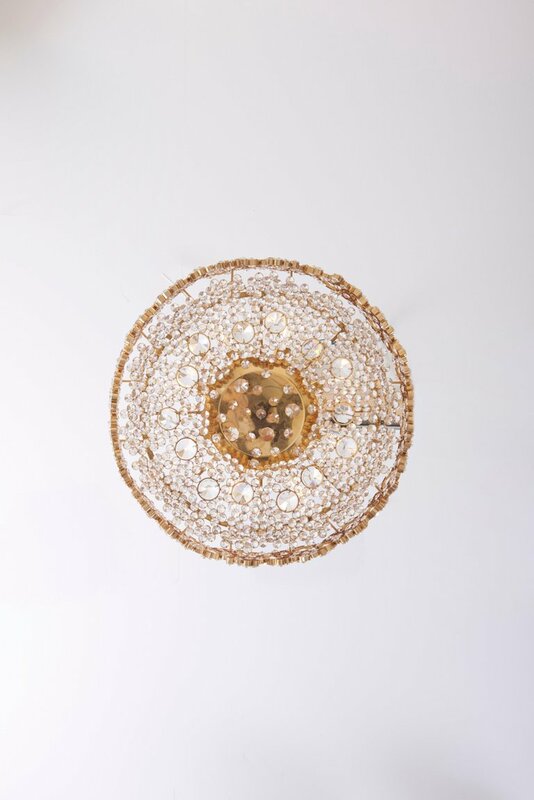 One of eight outstanding Palwa chandeliers from the 1960s, model S101. 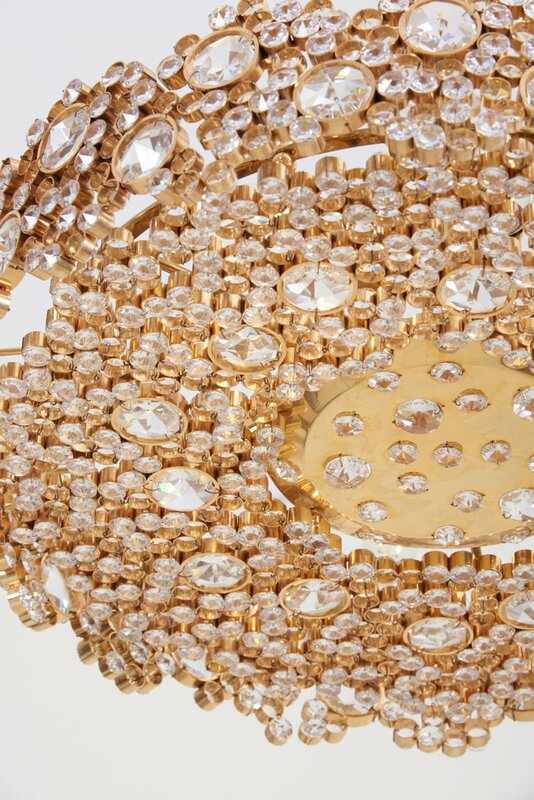 The 24-carat gold-plated brass frames are encrusted with hundreds of high quality diamond like crystals. 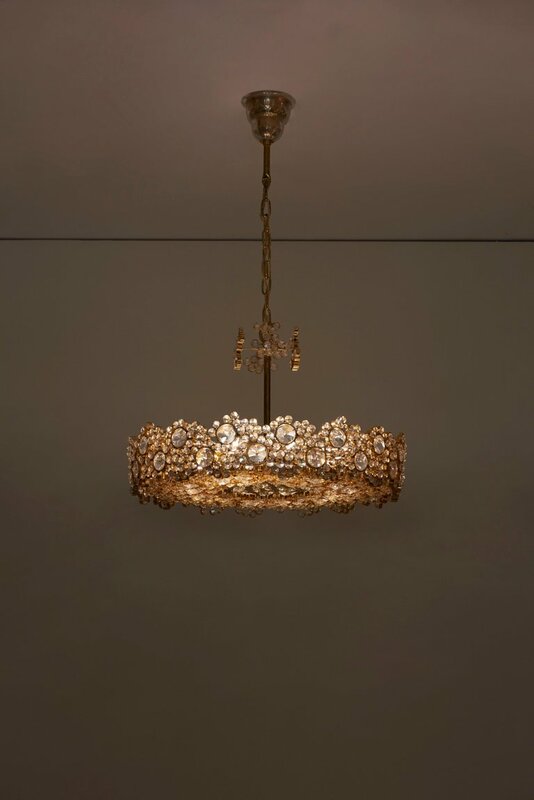 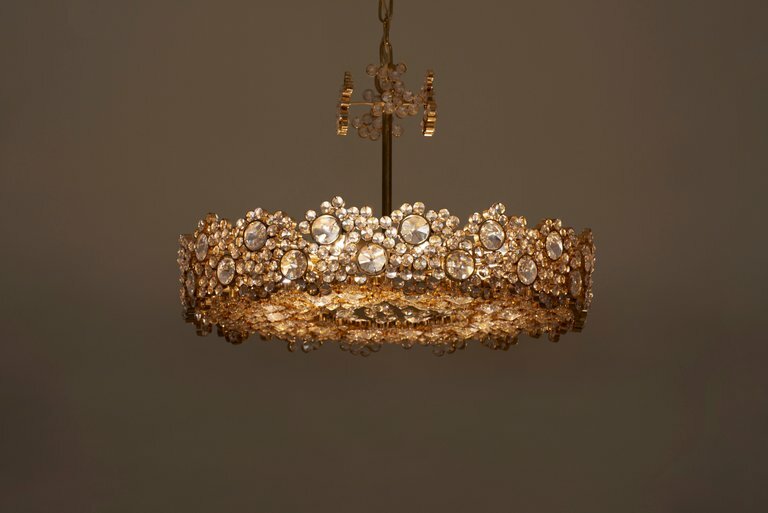 The chandeliers are handmade and in excellent condition and float every room in a beautiful warm light. 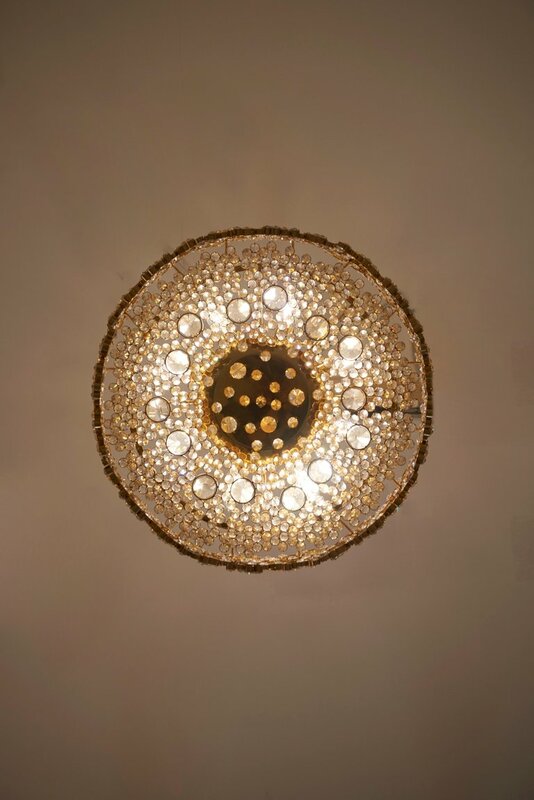 It is fitted with eight E14 bulbs. 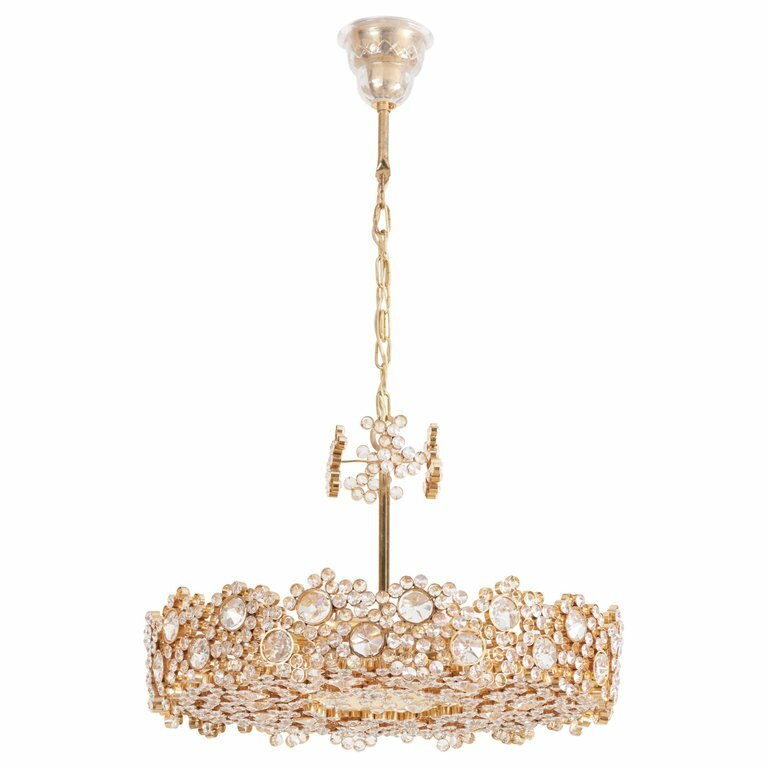 Longer chains can be provided.